Thanks, everyone, for all your well wishes in the past two posts. I really appreciate it and each of you! This entry was posted in Uncategorized on November 2, 2017 by Silver Willow. Glad you are on the mend, SW.
Cutie kids will make anyone feel better. Welcome back. So glad you are doing so much better. Hard to stay sick with such cuties to make you smile and be proud. Good news, Gwen. I'm so glad. How fun!! Glad you’re feeling better. Welcome back. Excellent costumes on super-cute kids. So adorable! How wonderful that you're feeling much better. Good stuff. I've said it before: they will be heartbreakers in 10 years or so. Sorry to read you’ve been through the mill for a few days — no fun! Glad to see your back! Cute Halloween costumes. 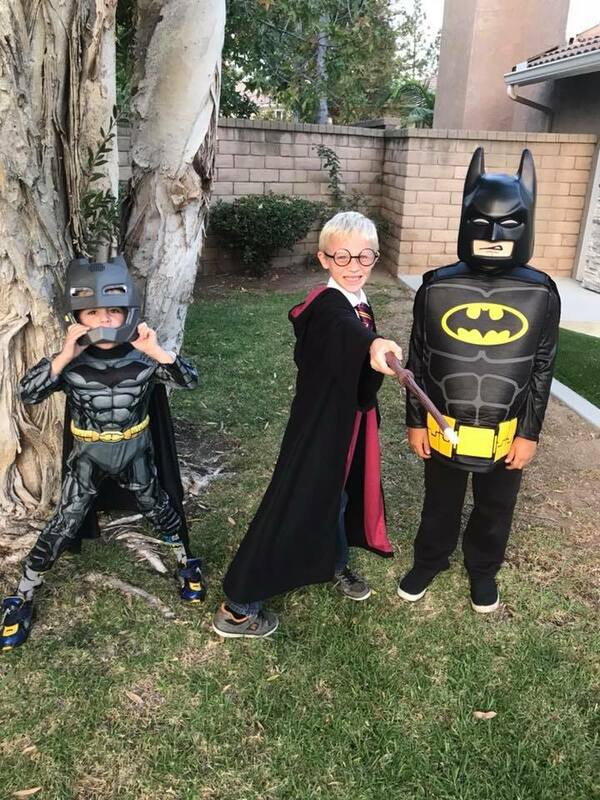 I'm glad that you are feeling better now, your grandsons costumes are really good, I have to say that is a good looking Harry Potter. Sorry to read you've been unwell. I loved seeing this photograph.